Love will never invoke fear. Perfect love expels fear, particularly the fear of punishment. The one who fears punishment has not been completed through love. Every Friday at my Lutheran school, we had chapel. And while most of our friends at public school were off on Good Friday, we still met in the morning to have a Good Friday chapel service. When we went into the sanctuary, all of the linens for Lent were still on the altar, the candles were lit. The church was somber, as it was through all of the Lenten season, but there was still color, still signs of life. But at the end of chapel, they would strip the altar. The candles would be extinguished, all of the linens would be removed, along with everything adorning the altar, save the cross, which would be draped with a piece of black fabric. It was a solemn, and slightly beautiful ritual to watch. Through all of my adult years in evangelical churches that don’t particularly celebrate Good Friday, it has stuck with me. The picture of the cross on the bare altar, shrouded in darkness. That memory has offered me comfort in my own grief, it has filled me with awe, it has given me hope. One thing that the cross has never done is to inspire fear in me. 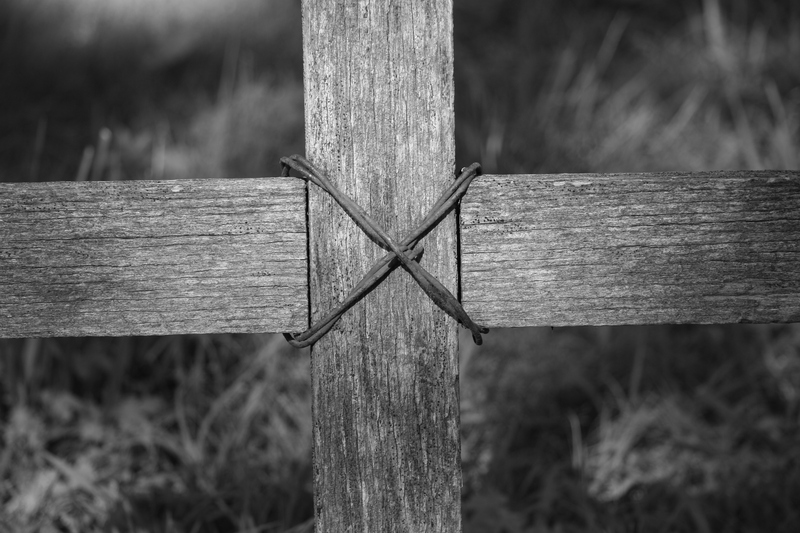 For most of my life, I tried to reconcile the way that the cross has spoken love to me with the idea of it being necessary atonement for God’s wrath. Fear and love are said to be incompatible, but the Easter story is often told with a healthy dose of fear. Fear of punishment, fear of death, fear of separation. When I discovered the theological idea of Christus Victor, it resonated with me. Victory not over God’s wrath, but over the principalities and powers that enslave us. Over death itself. Here was the love that I saw poured out on Calvary. Here is the foundation of abundant life. Here is victory. Here is power and joy and peace. The idea that the cross is not a giant block of God’s wrath, but rather an expression of God’s love is one that moves me to the core of my soul. It allows me to recognize the debt of my sin, but rather than being submerged in guilt and fear, it allows me to bathe in acceptance and love. In one theology, the cross is a relief from God, in the other, it is the love of God. Fear will bring forth a response, but it becomes wearisome. Love will bring forth a response, but it will last forever. As we enter these final days of Holy Week, I think about that cross, shrouded in black. It reminds me that God’s love had a cost, because love always has a cost. But God believed that I was worth it, and that makes even the the dark, ugly cross beautiful to me. This entry was posted in Faith and Doubt, Holidays and tagged Christus Victor, Easter, Good Friday, Penal Substitution, theology. Bookmark the permalink. Beautiful. I am fortunate to have a background that makes “crucifixion as the only thing that could satisfy God’s eternal pissed-off-ness” a completely foreign and incomprehensible idea. These days remind me that God conquers death through love and that with God I might enjoy the same. Pingback: Bloggerhood Etc. 4/13/15 | Fatherhood Etc.